It streamlines your business processes across the enterprise – empowering the various departments and teams within the organization with the appropriate tools, resources and information to enable a smooth functioning and systematic case management. 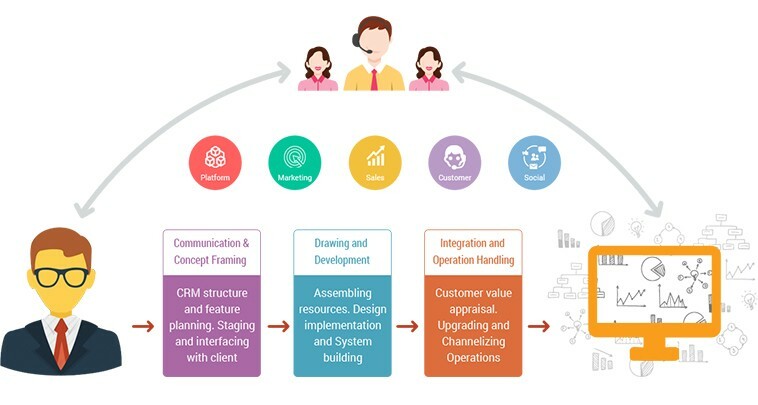 OpooleTech is leading CRM Development Company and CRM Integration service provider. At OpooleTech, we do the crm software development as per the need of the particular business. With our levels of efficiency, we are acclaimed as a top crm consultant providing services to customers globally. The crm consultancy rendered by us is one of the best in terms of the quality. All our clients have been benefitted hugely from our services. CRM can track customer activity at each end point. CRM tracks customer’s Purchase and Sales habit. CRM can generate and record the history of Purchase Orders, Sales Orders, and Invoices. CRM enables Cross selling or Upselling by providing historical data. CRM systematically tracks customer communication, problems, and solutions.